N. Rossolimo v P. Reissman, San Juan, 1967. Fox v Casper or Karper. This game is often given as ‘M.A. Fox v H.E. Bauer, Antwerp, 1901’, but books have many variants. 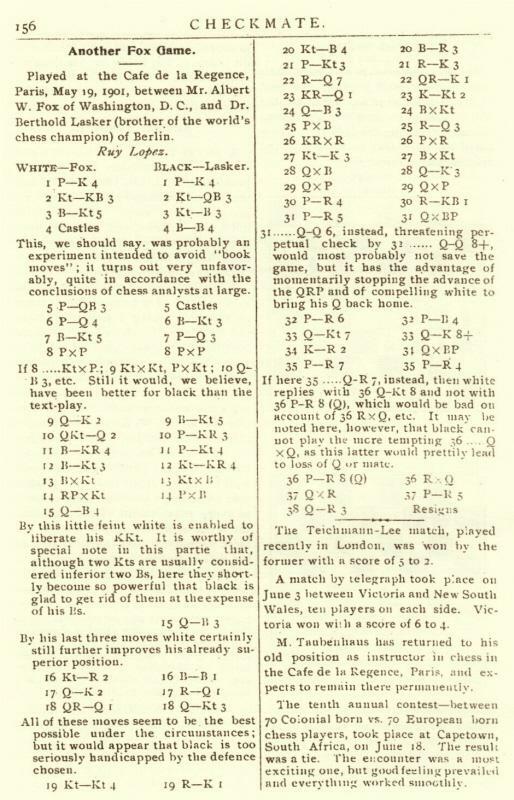 The Basis of Combination in Chess by J. du Mont (London, 1938) claimed (see pages 135 and 215) that White was A.W. Fox. So did page 133 of The Golden Treasury of Chess ‘compiled by the editors of Chess Review’ (London, 1958), a book which, moreover, stated ‘Washington, D.C., 1901’. Page 48 of 500 Ruy Lopez Miniatures by Bill Wall (Coraopolis, 1986) followed the Treasury version but gave ‘J. Bauer’ as Black. 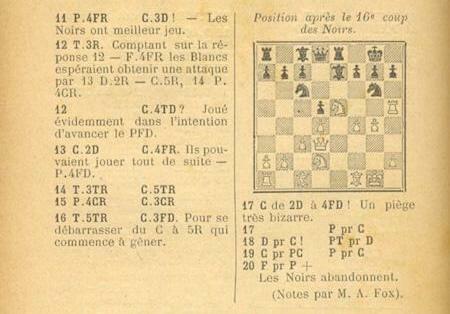 Page 46 of All About Chess by Al Horowitz (New York, 1971) proposed ‘A.W. Fox v J.H. Bauer’, although the latter, who lost a famous game to Lasker, had died in 1891. This was given by Chernev as Fox v Casper, but no venue or date was stipulated. The finish was 1 Bb6 Qxb6 2 Qg6 hxg6 3 Ne7+ Kh7 4 Rf3 Qc5 5 Rd5 Black resigns, although Chernev noted a simpler win: 1 Qg5 g6 2 Qh6 gxf5 3 Bd4, etc. See also page 3 of Blunders and Brilliancies by Ian Mullen and Moe Moss (Oxford, 1990). No mention was made of where either ‘J.W. Fox’ game was played, and we wonder if a reader has access to the Washington Star, to ascertain whether further details were provided there. Thus we still have a contradiction over the venue of the Fox v Bauer game (Washington or Antwerp?) and the date (1900 or 1901? ), but an easier matter to settle is the reference in many sources to ‘M.A. Fox’. 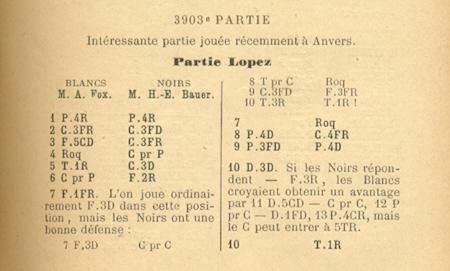 An early publication of the game was on pages 79-80 of the 15 March 1901 issue of La Stratégie, which presented it as an ‘Intéressante partie jouée récemment à Anvers’, headed ‘M. A. Fox – M. H.-E. Bauer’ and with notes ascribed to ‘M. A. Fox’. M. A. Fox clearly meant Monsieur A. Fox. But were the two games featuring that rarest of queen sacrifices on g6 really played not only by the same person, A.W. Fox, but also within a few months of each other? We felt as far as ever from knowing whether either or them was an invention or a hoax. The first was played at the Café de la Régence, Paris and the second in Antwerp on 31 [sic] December 1900. The latter is unquestionably a remarkable game and, if any recognized master had played it, it would rank among his brilliancies. 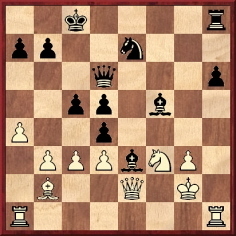 The average strong player will overlook the object of the sacrifice of the knight on the 17th move, and this, followed by the sacrifice of the queen and another knight, stamps the pretty combination as a genuine masterpiece. It is difficult to know what to make of all this. Fox would certainly be fortunate to have a correspondent (anonymous) so conveniently placed to relate his exploits at home and abroad. 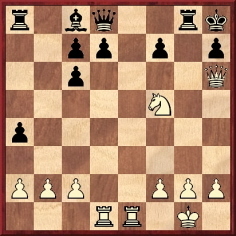 To date, we have found, in the history of chess, only ten games which featured such a queen sacrifice on g6 or g3, yet two of them, both attributed to A.W. 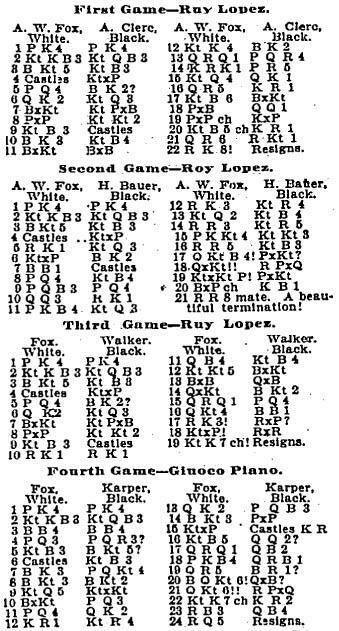 Fox, were purportedly played in quick succession and, as shown above, even appeared on the same page of the Chicago Tribune, 12 May 1901. ‘A.W. 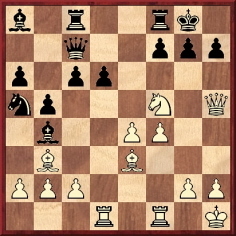 Fox used the Ruy López and 4 O-O against the Berlin Defence several times during his period of master play in 1904-06 (which included Cambridge Springs), so I do not see any difficulty with that brilliancy. 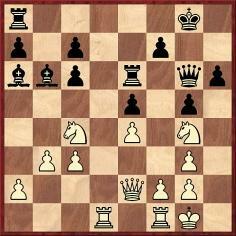 However, the Giuoco Piano game against Karper is peculiar in that A.W. 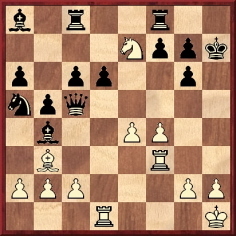 Fox (if it is he) eschews his normal Ruy López, then passes over not just the simpler win pointed out by Chernev but also two easy wins earlier. 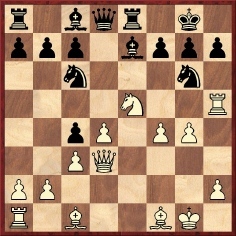 13 c3 or 13 a3 wins a piece (Black’s bishop at b4 and knight at a5 are in a tangle), while four moves later 17 Qg4 wins instantly with the double threat Qxg7 mate and Nh6+ with Qxd7. What more can be discovered about the Fox enigma? 22 Rd7 Rae8 23 Rfd1 Kg7 24 Qf3 Bxc4 25 bxc4 Rd6 26 R1xd6 cxd6 27 Ne3 Bxe3 28 Qxe3 Qe6 29 Qxa7 Qxc4 30 a4 Rf8 31 a5 Qxc3 32 a6 c5 33 Qb7 Qe1+ 34 Kh2 Qxf2 35 a7 h5 36 a8Q Rxa8 37 Qxa8 h4 38 Qa3 Resigns. See too Wade v Bennett. Latest update: 2 April 2017.